Published The Drinks Business, 20 June 2016. Image: S. C. Pannell cellar door in McLaren Vale. Image credit: Richard Lyons. To kick-start the month of June Cellarhand distributors held a tasting with McLaren Vale winemaker Stephen Pannell of the eponymous label S. C. Pannell. We were treated to an extensive representation of wines under this label, many of which are no longer available. 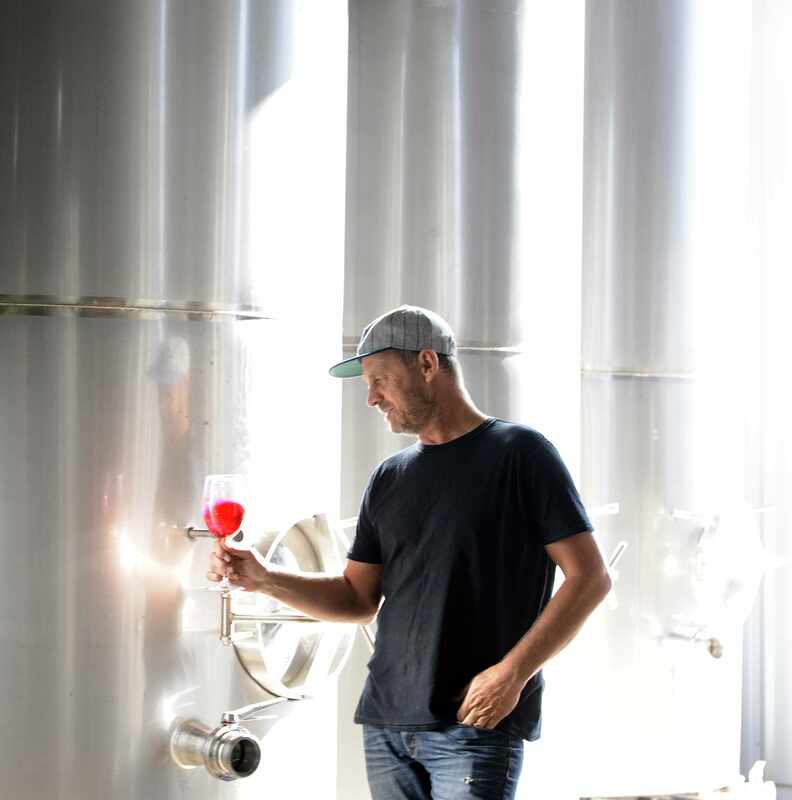 Growing up surrounded by the industry in Western Australia, to parents who planted the Moss Wood vineyard in Margaret River, winemaking is undeniably a part of Steve’s DNA – despite initially resisting this and declining the offer of taking over the family business when approached by his father. The tasting took place over a couple of hours and by the final glass the impression created by Steve was of someone who couldn’t have done anything else with his life. He embodies a real passion for crafting wine, his depth of experience and endless fascination with producing wine is abundantly clear throughout the afternoon. While the market now includes a number of wines that reflect a growing determination to produce examples that are particularly Australian, this has been at the core of Steve’s approach to winemaking for some time. Increased confidence within the industry is turning the focus to making wines that reflect the place in which the vines were grown and the community that lives, eats and drinks in that place. It is truly exciting to see this image of Australian wine develop, as the ability to look both back to historical lessons and forward to a uniquely Australian expression continues to evolve (and this from a Kiwi writer nonetheless!). It is perhaps best said by the man himself – “these wines are not copies … boundaries that exist within history are there to be pushed. It is this place of wine that drives my winemaking and it is more important than the grape varieties themselves”. Climate change continues to play an ever increasing role in successful winemaking and it is interesting to see producers reassess the varieties planted in each region, with plantings of so-called “alternative” varieties continuing to rise in a bid to best express a sense of place. As with any extensive tasting of top quality wines it was difficult to pick a favourite from the six brackets we enjoyed. However, what was apparent was an overarching stylistic template, which is at odds with the stereotypical view of wines from McLaren Vale as blockbusters filled with fruit and alcohol. These wines were characterised by a tapestry of fruit, spice, herbal and savoury notes, sitting within an elegant structure of restraint and a real sense of craftsmanship. Typically medium in body with attractive palate weight and texture in the mouth, the wines achieved that wonderful balance of being quite beautiful in the glass but equally delicious and moreish to drink (I mean taste!). And the good news is that the wines from S. C. Pannell are extremely well priced, offering extraordinary value for money. So next time you are perusing the shelves of a wine shop or skimming down a wine list look out for these wines – you might not be familiar with the grape varieties but I am confident you will not be disappointed with these drops from The Vale! All images kindly supplied by S C Pannell. Thank you Simone for joining us, I’m glad you enjoyed the day. Steve is a national treasure and is absolutely at the top of his game. Cheers! Couldn’t agree more – not only great to taste the wines but extra special to hear him speak about what drives him to produce such delicious wine!